The Accommodation Hub helps entrepreneurs, existing apartment, hotel and guest house owners to understand the scale of the current and future demand for accommodation. Our data can be used to help them to develop viable proposals to respond to it effectively. It can also help you with identifying opportunities for expansion of your existing facilities or building of new hotels, apartments and other accommodation solutions. A huge amount of new investment is taking place in in the South West part of Cumbria, centred on Furness. All are generating demand for new accommodation,housing apartments, flats to buy or rent and a wider choice of rented accommodation for skilled people to use. These investments and others will create accommodation demands that provide opportunities for entrepreneurs to stimulate growth in the accommodation, housing, construction leisure and retail markets locally across south Cumbria. Current data suggests that a high percentage, possibly 60% – 80%, of new construction project workforce may be incoming workers who may need houses, apartments or flats to buy or rent. Whilst here they may wish to reside in urban and rural parts of Furness. Some may wish to share accommodation but others may wish to have their own self contained apartments, flats or houses. Alternatively they may wish to bring their families for an extended stay. In some cases they may wish to rent in temporary accommodation created on new sites specifically to support groups of workers. There are plans by Little Box Company and other organisations to deliver this type of solution. WHAT DOES THE CONSTRUCTION DEMAND PICTURE LOOK LIKE? There is a large amount of publically available information to help with understanding forecasts of demand for accommodation that are likely to occur in Furness over the next five to ten years to 2026. A significant part of this is to be found within the details of planning applications submitted to Local Authorities and through FEDF’s direct engagement through it economic development actions with incoming and local companies or through liaison with accommodation providers. The majority of those employed will be civil, mechanical and electrical operatives who are typically more likely to work on projects for periods of months or low (1-2) numbers of years. These workers are likely to move to the local area without their partners/families and may (typically) seek more temporary forms of accommodation in the local area. 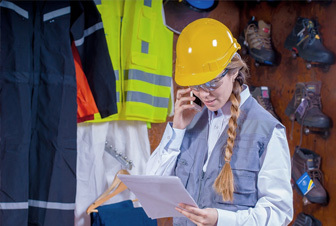 The kinds of accommodation sought by the construction workforce will depend on the nature of their role in projects, the length of time for which they are employed in the area and their personal preferences on whether to be located close into where they work or living a few miles away and choosing to commute into work. Some, mainly professional and project management staff, will move to the area for a significant length of time (many years or for the duration of construction) and in the case of future operational staff on a potentially permanent basis.These individuals are more likely to seek permanent housing in Furness and may bring their families with them. However this element will form a relatively small proportion (just under 10%) of the peak of the various construction workforces involved in building new facilities. There will also be a continuing flow of people moving into Furness to work in locally based companies on a permanent basis. It is anticipated many of these will start their working by either staying in hotels or in rented apartments or flats and then move on to settle permanently in purchased properties. Published data suggests that around 850 people (at peak of construction) may be involved in supporting the current programme of shipyard modernisation which will run through until 2021, with some works lasting until 2025. Currently there are an estimated total of around 350-400 people in the area working on these schemes with the main framework contractors and sub-contractors, companies such as CH2MHill, Morgan Sindall, Wates Construction, Severfields, Northern Cladding, Deloitte, W T Parker Ltd.
– towards the end of 2016 Dong Energy and its five main nominated contractors will deliver the construction and commissioning of the Walney Extension Wind farm. It likely initial needs will be to house 70-100 personnel for a period approaching three years. Main sub-contractors involved in cable laying, turbine installation, crew boat operations and other supporting activity may also need accommodation during this time. 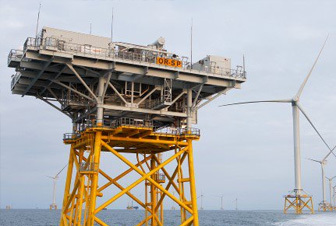 Part of the Dong Energy Walney Extension windfarm operation proposes setting up of a new heliport at Walney Airport from which personnel will be ferried daily to work offshore. 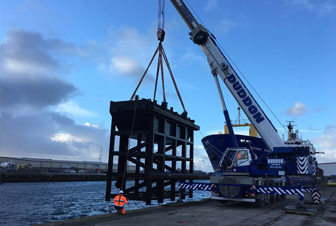 This facility will be linked with the Operations/Maintenance base at Barrow’s Ramsden Dock. Both facilities will create demands for accommodation. Other windfarm operators such as Vattenfall and Senvion may also need accommodation. – Centrica Energy’s Rampside Gas Processing Terminal operations undergo periodic shutdown and modifications. The compnay also has plans for a new 90MW gas fired and battery powered electricity generation system at Roosecote which may also create construction contractor demand. 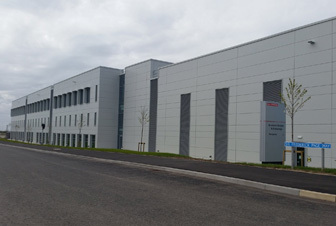 – When GSK Ulverston starts its phase one biopharmaceutical manufacturing investment, probably towards the end of 2017, their construction contractors needs will create a peak demand of around 433 construction personnel according to current forecasts in the company’s construction plan. – National Grid intend to engage contractors in the build of its 400kv power-line, substations and 5m diameter undersea tunnel.Potential accommodation needs are for around 400-500 personnel to be housed locally at peak of of the build programme beyond 2018. – Several smaller new build schemes. 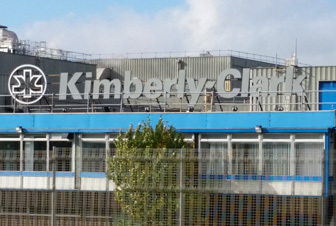 – Stonecross Housing area, Ulverston. Further industrial investment will also add to the accommodation demand/opportunity.